Are apples the key to curing obesity? A few weeks ago the media was reporting that apples may provide the cure for obesity. I was a little more sceptical. I mean, how many overweight and obese people do you know who eat apples? Probably lots. If apples were capable of curing obesity everyone would be thin. My first concern was that this research was conducted on mice. That means that it may (likely) is not translatable to humans. A couple of things to consider: these mice were fattened up by being fed a very specific high-fat diet. Obesity is a complex condition with myriad factors. Unless the reason for people being overweight is due to consuming a similar diet to these lab mice, it’s quite likely that they will not respond to this weight loss treatment in the same manner as the mice. I also wondered how much apple the mice were fed. How much apple would humans need to consume to see similar results? 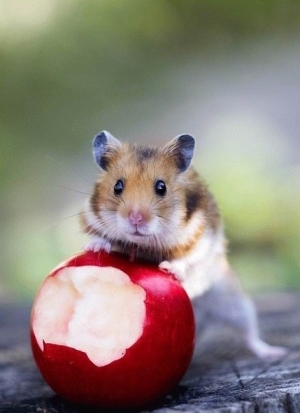 Here’s where it gets crazy: the mice did not eat the apples. Yep, that’s right. We have no idea how much apple would be beneficial to humans as we don’t know how much would be beneficial to mice. Rather than feeding the apples to the mice, the researchers made a slurry of apple compounds and mouse faeces. They found increased levels of certain bacteria that are commonly found in the faeces of slim mice in the cultured faeces of obese mice. Their results were not statistically significant. They showed a trend toward increased levels of some bacteria and butyric acid, and decreased levels of other bacteria in the faeces-apple slurries of obese mice but none of the changes (save the decreased bacteria) were large enough to be statistically significant. These results suggest that dietary fibre and phenolic compounds remaining in apples after IVD might help to prevent metabolic disorders driven by an altered microbiota in obesity, and potentially protect from an obesity-disturbed balance of microbiota. It also didn’t stop the media from publishing articles with headlines like: “An apple a day could keep obesity away: Granny Smiths promote friendly bacteria helping us feel fuller for longer” and “Granny Smith apples can help prevent the damage of obesity“. I do think that research into our microbiomes is going to provide insight into many illnesses and conditions. However, our individuals microbiomes are extremely variable. Suggesting that this research using mice will translate to obesity treatments for humans. It’s also extremely unlikely that consuming one healthy food will negate the effects of an overall unhealthy diet. That being said, apples are nutritious and it’s certainly not going to hurt you to have an apple a day. Tags: apples, bacteria, diet, faeces, fibre, mice, microbiome, nutrition, obesity, phenolic compounds, research, weight loss | Permalink. Wow, saw these headlines but didn’t have a chance to read the research – not even statistically significant?!? 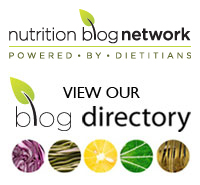 This is why it’s so important for people to get nutrition advice from qualified practitioners! Thanks for sharing! Shocking isn’t it! I was skeptical when I saw the headlines but I wasn’t expecting there to be so many issues with the research. This is why we need open access to journal articles because none of the news pieces clearly conveyed the true nature and results of the research. It’s often the institutions’ or the funders’ communications people (not scientists) putting unrealistic spin on basic research, marketing their own causes. Then the media publish the press releases as they are, and the scientists are left smiling and nodding. Though, their own conclusions in this article are a stretch of logic to begin with. I had assumed that this was the case here. I was actually pretty surprised by the research and the conclusions they drew from it.